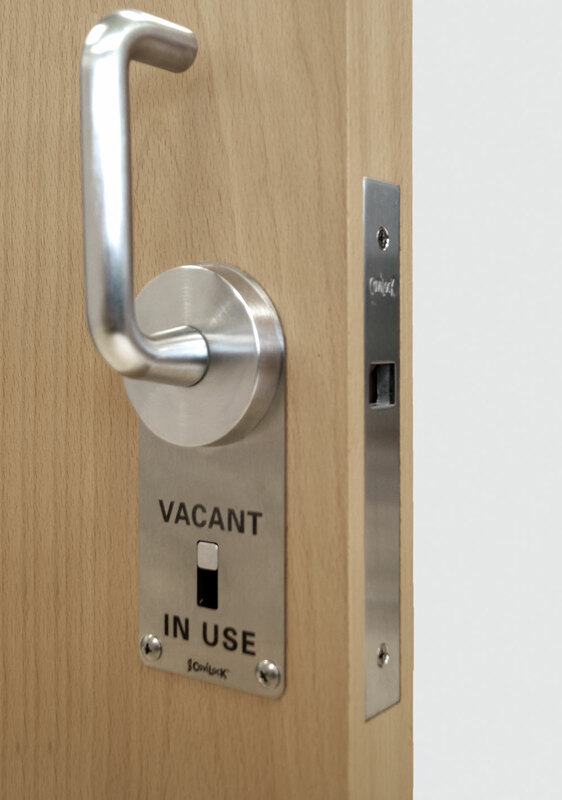 The CL100 ADA Indicator Lock is a disabled access sliding door lockset designed with ease of use and longevity of service in mind. 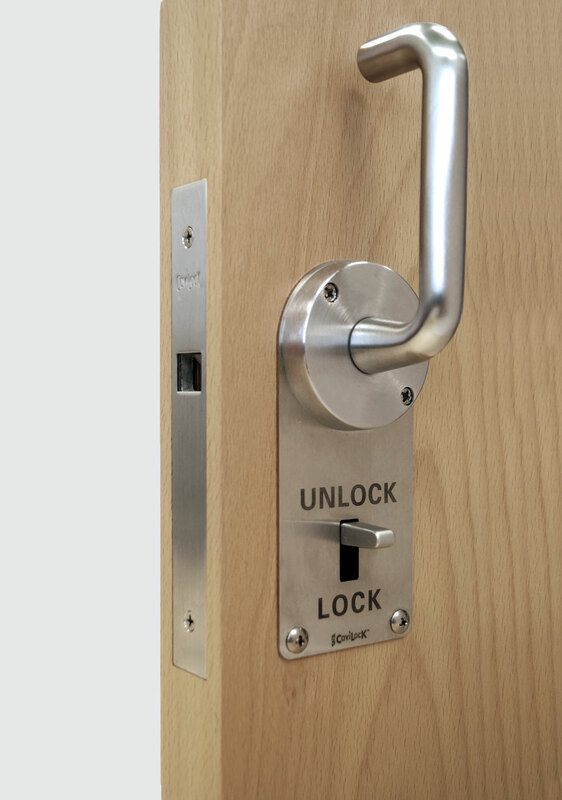 Brass and stainless steel working components ensure reliability. 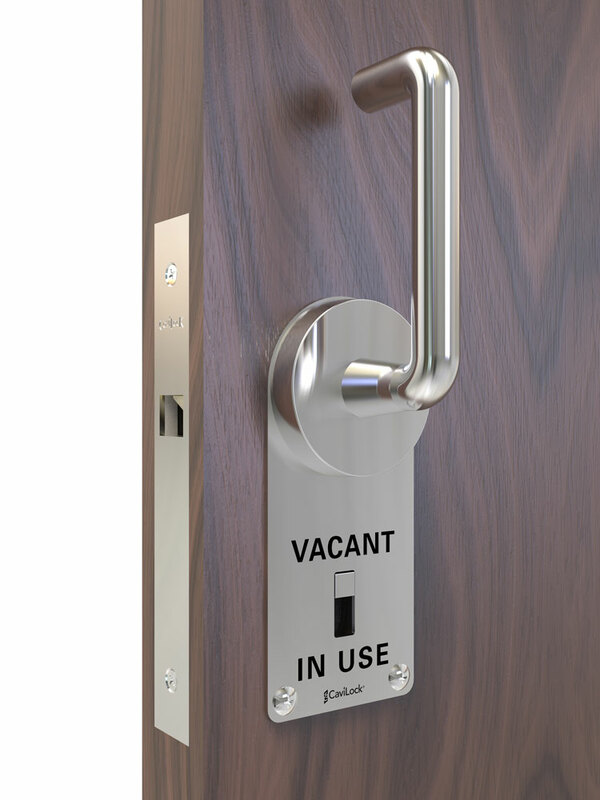 The LaviLock features easy to read “Vacant / In Use” lettering and ‘fail safe’ Exit (Egress) Free functionality. 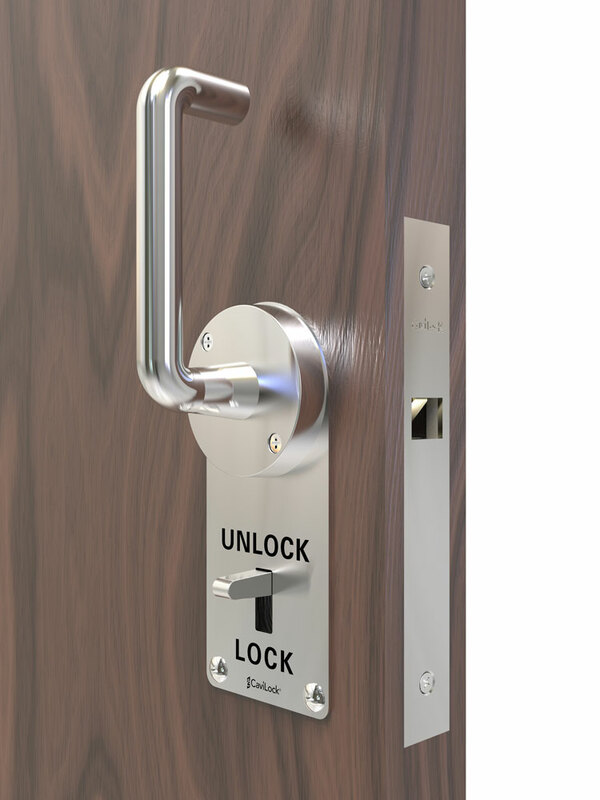 It is driven by a lever operated mechanism that is easy to grasp with one hand, ensuring the lock meets ADA Accessibility Guidelines for Buildings and Facilities. Important: Operable parts of hardware must be mounted 34” (865mm) min. and 48” (1220 mm) max. above finished floor to meet ADA guidelines for pocket and barn doors. The clear width of the door opening must be a minimum of 32”. Always check State and Federal guidelines relating to the specific project. 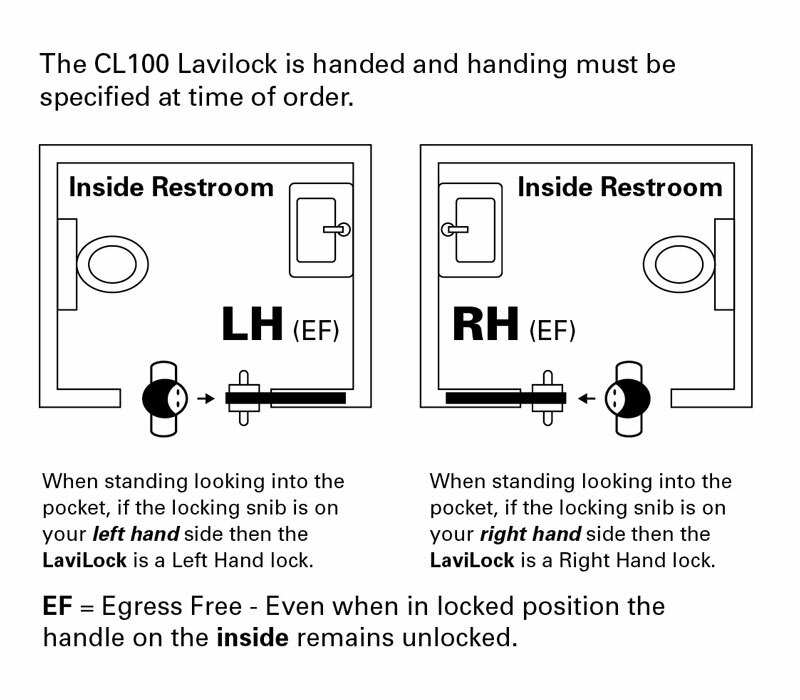 The CL100 Indicator Lock is handed and handing must be specified at time of order.